I was listening to Tom Cheek and Jerry Howarth call the Jays game on CJCL 1430 the afternoon Pete Rose set the all-time career hits record. I remember a recorded piece by Sparky Anderson came on to set the scene and tell us all history had been made. Pete Rose had more major league hits than anyone who had ever played the game of baseball and I thought that was pretty awesome. I've long argued that Pete Rose should be in Cooperstown. I like the Hall of Fame to be about what happened on the field, between the white lines. When it came to playing baseball, Pete Rose is a shoe-on for Hall of Fame honours, and it always bothered me that Charlie Hustle wasn't eligible. I read about Pete Rose's corked bat on Deadspin. 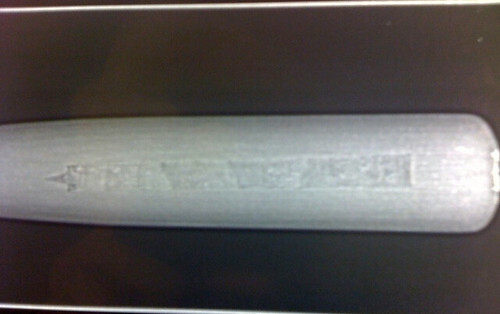 "You're looking at an X-ray of a Mizuno PR4192 bat, commissioned by Pete Rose specifically for his 1985 chase of baseball's all-time hits record. Inside, clear as day, is a piece of foreign material, about 6 inches long, and the diameter of a nickel. " I don't care whether corking a bat actually helps or hinders a batter, rule 6.06(d) prohibits the use of corked bats. It's against the rules, and Pete Rose did it anyway, believing it gave him an edge while he chased history. It's funny, but his gambling and lies about it never tainted my opinion of Charlie Hustle, but this does. Rose cheated. Baseball is different than hockey. In hockey, certain draft picks are projected as can't-miss elite superstars before they're even drafted. After Wayne there was Mario and Eric and Sidney. We were anticipating excellence before their professional debuts. In baseball, it's a much longer road to the big leagues, and so many things can go wrong along the way, so there really isn't a "can't miss" blue chip prospect as there is in hockey or basketball. Having said that, I don't think I've ever heard as much hype about a player's MLB debut than I'm hearing about Stephen Strasburg. Stephen Strasburg will pitch tonight for the Washington Nationals and more than 200 requests for media credentials have been submitted. All eyes are on Strasburg who is 7-2 with a 1.30 ERA with 65 strikeouts and only 13 walks in 55 1/3 innings spread across Double-A and Triple-A. I'm predicting he pitches a perfect game tonight. Anything less will be disappointing. Roy Halladay pitched a perfect game for the Philadelphia Phillies yesterday in their 1-0 win over the Florida Marlins. It's no surprise. Roy Halladay is the the best starter in baseball, the greatest Blue Jays starter of all-time and I once sat in the stands at SkyDome while he no-hit the Tigers for 8.2 innings. You just knew one day he'd be perfect. Marlins 1st: Chris Coghlan called out on strikes. Gaby Sanchez strikes out swinging. Hanley Ramirez grounds out, second baseman Chase Utley to first baseman Ryan Howard. Marlins 2nd: Jorge Cantu strikes out on foul tip. Dan Uggla strikes out swinging. Cody Ross grounds out, third baseman Juan Castro to first baseman Ryan Howard. Marlins 3rd: Brett Hayes pops out to second baseman Chase Utley. Cameron Maybin flies out to centre-fielder Shane Victorino. Josh Johnson strikes out swinging. Marlins 4th: Chris Coghlan grounds out, second baseman Chase Utley to first baseman Ryan Howard. Gaby Sanchez lines out sharply to centre-fielder Shane Victorino. Hanley Ramirez called out on strikes. Marlins 5th: Jorge Cantu grounds out, second baseman Chase Utley to first baseman Ryan Howard. Dan Uggla flies out to centre-fielder Shane Victorino. Cody Ross grounds out to first baseman Ryan Howard. Marlins 6th: Brett Hayes strikes out swinging, catcher Carlos Ruiz to first baseman Ryan Howard. Cameron Maybin grounds out, shortstop Wilson Valdez to first baseman Ryan Howard. Josh Johnson flies out to left-fielder Raul Ibanez. Marlins 7th: Chris Coghlan called out on strikes. Gaby Sanchez lines out to left-fielder Raul Ibanez. Hanley Ramirez called out on strikes. Marlins 8th: Jorge Cantu grounds out sharply, third baseman Juan Castro to first baseman Ryan Howard. Dan Uggla called out on strikes. Cody Ross pops out to shortstop Wilson Valdez. Marlins 9th: Pinch hitter Mike Lamb flies out centre-fielder Shane Victorino. Pinch hitter Wes Helms called out on strikes. Pinch hitter Ronny Paulino grounds out, third baseman Juan Castro to first baseman Ryan Howard. Halladay's perfect game is just the 20th in Major League history. It couldn't have happened to a more deserving guy, I just wish he had done it one season earlier. The Barilkosphere has produced a great eulogy for the Montreal Canadiens' 2009-10 season. This gem comes courtesy of Bloge Salming and Down Goes Brown. Six years ago, I called for Steve Nash to be named NBA MVP. That eventually happened. Twice. Five years ago, I called for Steve Nash to be named Prime Minister of Canada. 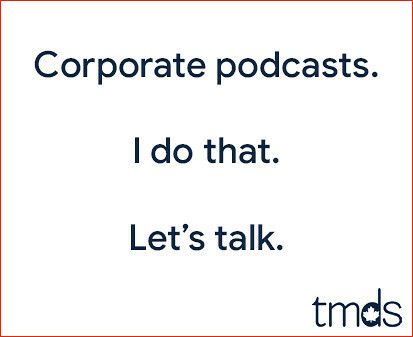 That hasn't happened. Yet. I was just catching up on my RSS feeds when I read Rick Hodge's take on Steve Nash. They say Einstein could see light. Ted Williams could see the seams on a 100 mile an hour fast ball. Mozart didn't just write notes, he could see the notes. Gretzky knew where his teammates were going be before they did. Vision, anticipation. Their world moves in slow motion. They see things we can't. That's how Steve Nash plays basketball. I agree 100% with Rick Hodge. Steve Nash is a virtuoso who plays basketball with a hockey player mentality. Tim Duncan’s elbow to Nash’s face last night wasn't enough to keep Nash on the bench. 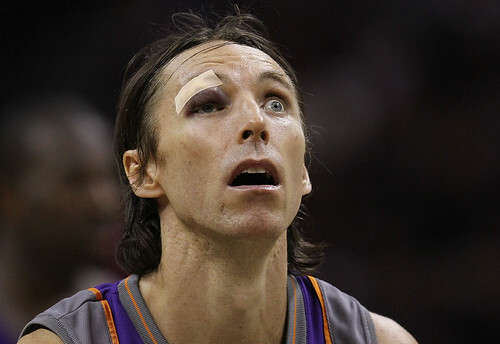 Steve Nash returned to the game with his right eye swollen shut and still finished with twenty points and nine assists. Nobody plays basketball like Steve Nash. Nobody. Appreciate this brilliant freak of nature while you can. 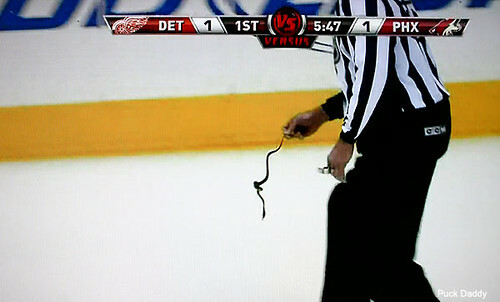 I absolutely adore the NHL playoffs. There's nothing like it in sports, in my humble opinion. It makes the NHL regular season feel like exhibition games. Now that we're in the second round, and since it's all about me, here are the series I'm digging and not digging and the exciting reasons why. This is my favourite series right now, because it includes both my favourite remaining team and my least favourite remaining team. 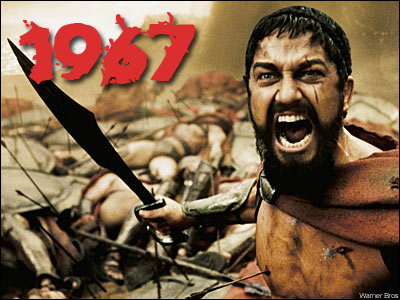 I hope the Pens crush the Habs and show no mercy. If I were building a team from scratch, I'd pick Sidney Crosby first overall. This is my least favourite series right now, primarily because I despise both teams. Can they both lose? I'm watching game one right now and rooting softly for Philadelphia, so I can stop hearing about Tuukka Rask. I grew up just hating the Detroit Red Wings. It was the Norris Division rivalry, and I couldn't stand them. Then, with guys I liked like Brendan Shanahan and Steve Yzerman leading the charge, it became harder and harder to hate them. Today, I don't mind them at all, and I sort of like watching the Sharks falter spring after spring. The next Canadian team to win the Stanley Cup has to be my Leafs. As a result, I'm physically incapable of actually rooting for the Canucks. 40% of my playoff pool plays for Vancouver, so I don't mind them going another round, but that's it. But Chelsea Dagger is a great tune, so in this series, I'll just root for overtime every game. Somehow, against all odds, the Montreal Canadiens have forced a sixth game in their series against Washington. They've exceeded all expectations, but that doesn't mean the mayor of Montreal is happy. Here's the mayor of Montreal chiming in on the Habs. In US College baseball action last night, Fordham rallied from 9-1 down to win 12-9 against Iona. You don't want to miss Brian Kownacki touching home plate in the clip below. The call is by WFUV's Gregg Caserta. This is a great day for the Barilkosphere. Last night, following Keith Yandle's goal for the Phoenix Coyotes at home against the Detroit Red Wings, a Coyotes fan threw a snake on the ice. Here's the photographic evidence of this epic moment in Barilkosphere history. You're probably wondering why I'm giving the Barilkosphere credit for this act... @felixpotvin a.k.a. Chemmy from Pension Plan Puppets is the man responsible for this thrown snake, as he used the power of Twitter to essentially invent a movement to combat Detroit's octopus throwing tradition. As it unfolded in real time before my eyes on Twitter, it was fast and furious, but it seems Chemmy wanted Travis Hair from the Coyotes blog Five For Howling to throw a rubber snake on the ice. The Coyotes organization responded in an unfortunate humourless and passionateless manner, promising to eject anyone who dared try such a stunt. Despite the Coyotes' best efforts to squish the snake, I heard references to Throw The Snake during the game last night and Hockey Night in Canada mentioned it as well. If you're going to a Coyotes home game during the playoffs, throw the snake. Just do it. The Barilkosphere insists upon it.